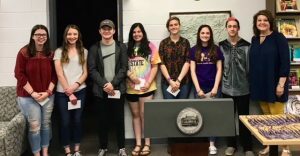 The Haywood County Schools Foundation surprised 99 Pisgah, Tuscola, Haywood Early College, and Central Haywood high school students with 131 scholarships totaling $217,900 on May 4. Scholarship amounts ranged from $300 to $40,000. Unsuspecting students from each school were called to the library where they were greeted by Haywood County Schools Foundation Executive Director Jenny Wood Valliere. 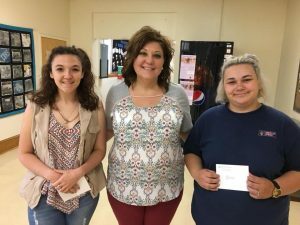 Kendall Myers, a senior at Tuscola High School, received the largest scholarship offered by the Haywood County Schools Foundation, the James and Betty Scott Memorial Scholarship. The Scott scholarship is up to a $10,000 annual award and is renewable for four years; totaling $40,000. 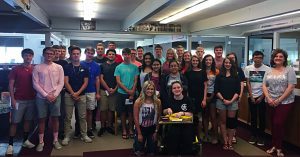 The scholarship is open to Tuscola seniors who have a high degree of need coupled with a serious commitment to achieve a college education. Myers will attend Western Carolina University to major in nursing. She hopes to work as a registered nurse for a few years before going back to college to become a nurse practitioner. 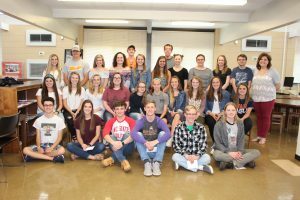 All scholarship recipients will be recognized at a Partners in Education ceremony on May 21 at Tuscola High School. 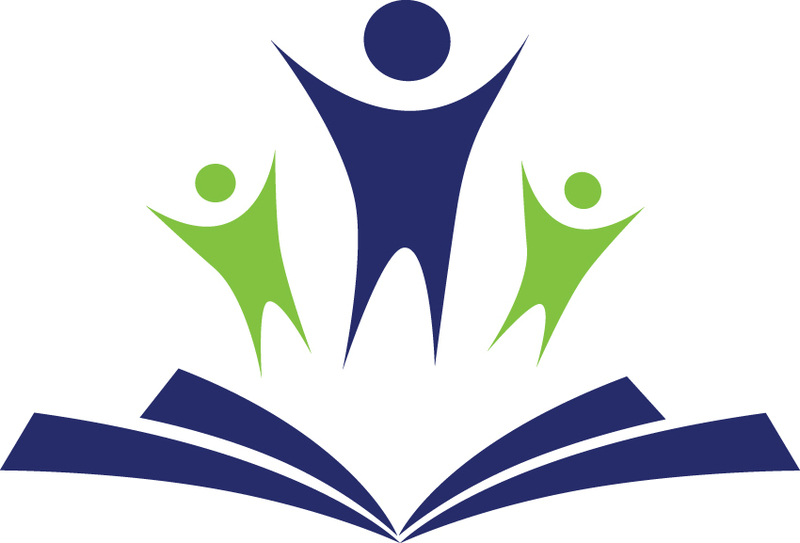 The Haywood County Schools Foundation was established in 1983 and is the longest running educational foundation in North Carolina. Currently, the Foundation manages more than 60 scholarships that have been established by businesses and individuals in the community. Scholarships may be endowed or funded annually. Criteria for awarding the scholarship are designed by the donors and the Foundation Board of Directors. Endowed scholarships are generated through the investment of permanently-held principals, so that only the income from the principal is used for scholarship awards. For more information about donating to a scholarship fund or setting up a scholarship through the Haywood County Schools Foundation, contact Executive Director Jenny Wood Valliere at 828-456-2400 or visit www.hcsf.haywood.k12.nc.us.